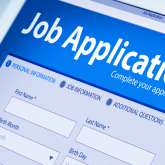 Oftentimes, an employer’s career site is the first touchpoint a job seeker has with a company. The content of the career site will likely make a lasting impression on a potential candidate. Accordingly, it’s essential to portray your company culture in the best light possible. Are you promoting your employment brand effectively? Is your career site mobile-optimized? If your answer is ‘no’ to either of these questions, it may be time to update your career site. Leaving the site outdated or generic puts you at risk of losing the right-fit people for your company. Are you promoting your employment brand? A survey conducted by Glassdoor found that 94 percent of job seekers are more likely to apply to a position if the employer actively manages its brand. Why? Potential candidates will not always be familiar with your company. Therefore, your career site can serve as the showcase for telling your employment brand story to all candidates who visit, and you’ll want to make sure that story is being told positively and effectively. Whether or not they are familiar with your company, a job seeker’s perception of you will likely be effected by the content on your career site. Recruitee.com suggests making sure your employment brand is portrayed through company colors, logos, and fonts because “Not only do generic sites appear less attractive and desirable to potential candidates, but they also raise concerns about sending their resumes to a scam artist instead of a respectable company.” Next, look to see if you have testimonials from current employees, an event calendar, videos, or images of your office. Recruitee.com advocates for these items to help job seekers better understand the atmosphere of your company. Your career site is undoubtedly the easiest way for potential applicants to quickly determine if they will fit in with your company’s culture and values. According to Recruiting.com, keeping up with creating and publishing new content about your employment brand is essential to turning job seekers into applicants and applicants into employees. The more you keep your employment brand updated on your career site, the more likely you are to attract and hire the right top talent who will continue to embrace and preserve your company’s mission and values. For instance, iCIMS understands the importance of attracting the right job seekers for companies of varying sizes and industries. iCIMS considers each client's career portal to be an extension of their brand identity. As such, iCIMS supports client branding to maximize the candidate experience. iCIMS seamlessly brands all hosted, mobile-optimized career portals to the look and feel of each client’s existing corporate website. Specific pictures, logos, terminology, colors, and fonts are included. Career Portals are directly linked to the corporate site and appear as another page within the client’s existing website for a unified user experience. iCIMS career portals easily support embedded social media widgets for Facebook, LinkedIn, YouTube, Twitter, and other platforms. Is your career site mobile-optimized? According to an iCIMS survey, 70 percent of job seekers are researching companies and looking for jobs on their mobile devices. Accordingly, making sure your career site is mobile-friendly is of utmost importance. If potential candidates are not able to easily access your career site from their mobile devices, you may risk those job seekers dropping off due to an unpleasant experience. A lack of mobile optimization may also result in a potential applicant’s negative viewpoint of your company as a whole. However, ensuring your career site has a mobile-friendly, responsive design can help portray your company as a modern, forward-thinking business who is dedicated to meeting applicant needs and expectations. For example, on iCIMS mobile-optimized career portals, candidates can easily and efficiently search for jobs, create a login, submit an application, upload a resume (from their mobile device or via popular cloud storage providers), view application activity and status, and much more. Therefore, iCIMS helps in increasing candidate engagement, as well as supporting a positive and convenient candidate experience. In order to continuously attract quality candidates to your company, your career site should effectively represent your employment brand and provide ease-of-use for job seekers through mobile optimization. If your career site does not meet either of these criteria, you may want to consider updating your career site. Investing time and effort into such a critical first touchpoint for potential candidates will likely lead to the attracting and hiring of top talent who will contribute to and embody your company’s values.